If I was ever asked to describe the perfect beach in one word; Lanikai. I knew beforehand that this was a beach on my “must see” list for Hawaii, and I had heard it was beautiful, but nothing prepared me for what I saw person. The feeling, for me, was like being in a movie with that perfect beach. Lanikai had a super fine white sand beach; hugging the clear blue-green waves of the ocean, no crowds, clear sunny skies, and palm trees swaying to the beeeze in the background. 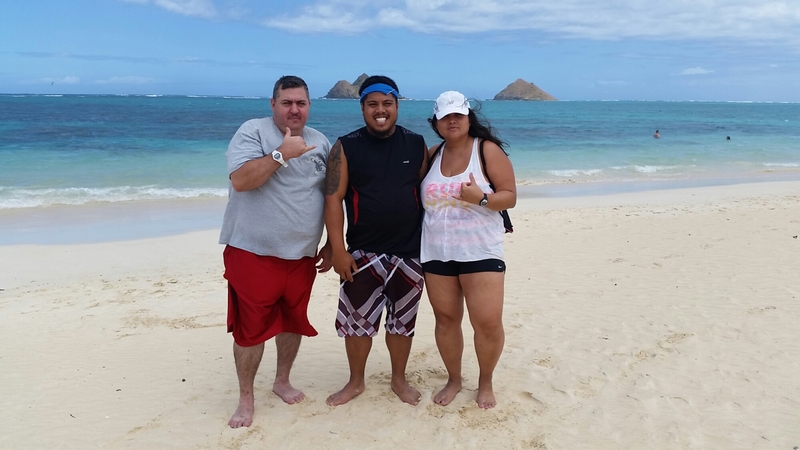 Lanakai beach is located in a residential area of Kailua, so it wasn’t as crowded as the beaches in Waikiki. Beware though, we got there around 10 am on a weekday and the parking was already minimal. There’s only street parking, and because it’s a small residential area, it seemed to fill up quick. Also, be careful not to even park ONE inch on the bike lane. My brother ended up getting a ticket for having the back tire about 5 inches on the bike lane!!! Ridiculous! Unfortunately, there seemed to be no negotiating with the cop; he was writing tickets to anyone and everyone that day. 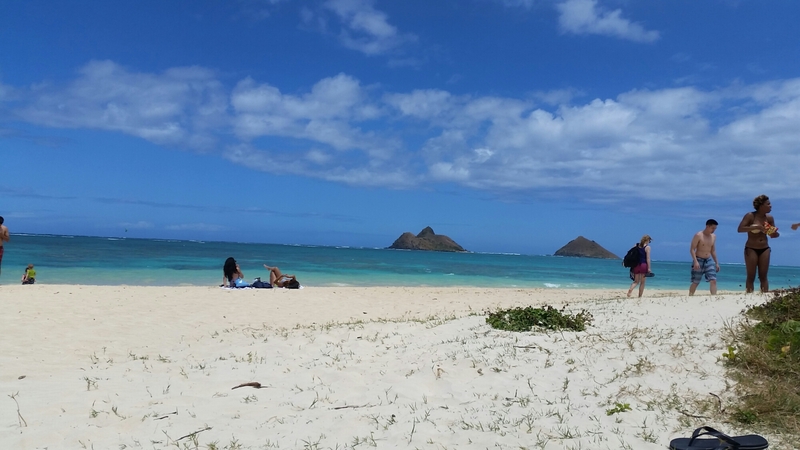 A less crowded Lanikai beach. Well besides the whole parking ticket fiasco, we tried not to let it ruin our day. 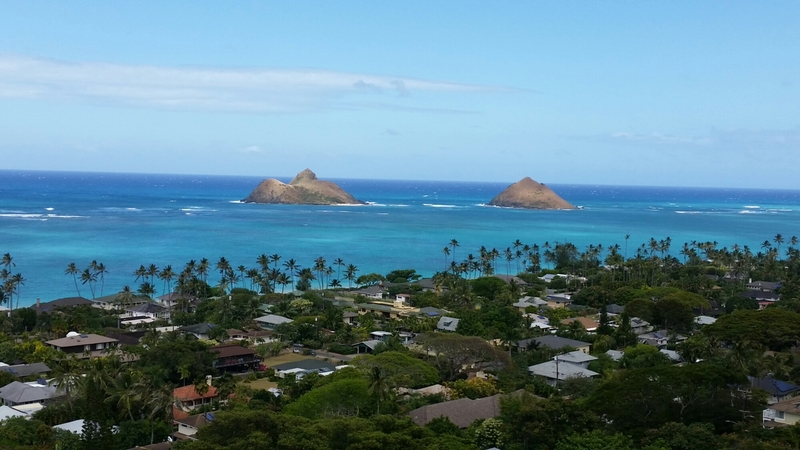 We went on to hike Pillbox, which is right in that same area of Lanikai. After eveyine had started up the path, I ended up being too chicken to go up any further than the 1st landing. So this is the only view I saw; still gorgeous. My fear of heights really kicked in, and for some reason I just couldn’t bear the thought of going up any further. After I started to hyperventilate, that was my cue to get down. It was a pretty steep climb, and afterwards hearing that it got even worse; I knew I made the right decision. I heard the very top was breathtaking though. So if you are in Hawaii, Lanikai Beach is a must. 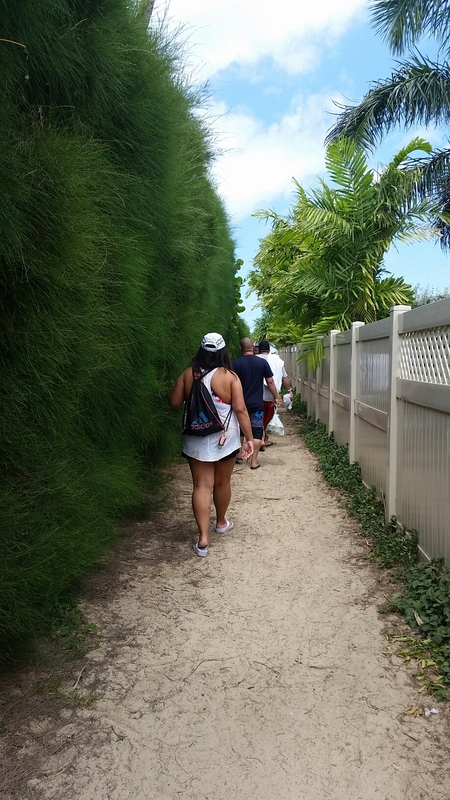 And if you aren’t too chicken like me, definitely take that Pillbox hike!